A division bench of Justice Adarsh Kumar Goel and Justice UU Lalit on Wednesday reserved its judgment in SLP (Crl.) No. 5661 of 2017, Subhash Kashinath Mahajan v. State of Maharashtra. (i) Whether there can be procedural safeguards so that provisions of Scheduled Castes and the Scheduled Tribes (Prevention of Atrocities) Act 1989 are not abused for extraneous considerations? (ii) Whether any unilateral allegation of mala fide can be ground to prosecute officers who dealt with the matter in official capacity and if such allegation is falsely made what is protection available against such abuse? (iii) Whether the present procedure of not having anticipatory bail is just and fair procedure under Article 21 of the Constitution? Vide its order dated 31.01.18, it had required the Union of India to make its submissions in relation to these questions. ASG Maninder Singh on behalf of the Union of India, submitted that the object of the Prevention of Atrocities Act is to prevent the commission of offences of atrocities against members of SCs and STs and therefore it would not be in consonance with the intent of the Act to provide for punishment for members of SCs and STs for falsely implicating the accused and that there is no proposal by the Union to consider amendment in the 1989 Act in this regard. It was also submitted while dealing with the complaints made in the 1989 Act, if it is found that the allegations made in the complaint under the 1989 Act are false, the authorities dealing with those cases would be within their jurisdiction to invoke the relevant section of Indian Penal Code in this behalf. Singh also stated that as per S. 4 of the Prevention of Atrocities Act, “the charges” of neglect of respective duties by a public officer “shall be booked on the recommendation of an administrative enquiry. Singh relied upon the judgments of the apex court where the constitutional validity of Section 18 of the 1989 Act, which prohibits an accused from approaching the court for seeking anticipatory Bail, has been upheld. Singh concluded that any safeguards against the Act may result in its dilution and that “the Government of India is committed to carry out the Parliamentary mandate as incorporated in the scheme of the 1989 Act”. Sharan argued that on a bare perusal of Section 438 CrPC, it can be deduced that the legislature has itself imposed sufficient safeguards in the nature of guidelines to be followed by the courts while deciding on an application of anticipatory bail. CU Singh, on behalf of an intervener, argued against any change in the existing scheme of the Prevention of the Atrocities Act. He submitted that the parliamentary intent behind the provisions of the 1989 Act provides an “overweighing balance in favour of the Scheduled Castes/Scheduled Tribes” and that “when the words are clear”, the courts should not read otherwise. He strongly submitted that intent behind various amendments of the 1989 Act has always been to make it more stringent. The bench stated that it was concerned with liberty under Article 21 of those who are falsely implicated under the Act. Justice Goel remarked that the bench can “supplement the existing law” and that “window” of liberty “has to be strengthened”. The bench also posed questions to the counsel on the application of anticipatory bail provision as to whether there can be wholesome exclusion for the Prevention of Atrocities Act. Justice Lalit remarked that something good for quashing of FIR is also good ground for grant of anticipatory bail and questioned that if someone can be granted bail next day, then why can’t there be anticipatory bail. Justice Goel also remarked that that an independent application of mind is needed in the present context of arrest. Justice Lalit also asked as to what constitutes “neglect” under S.4 of the Act. 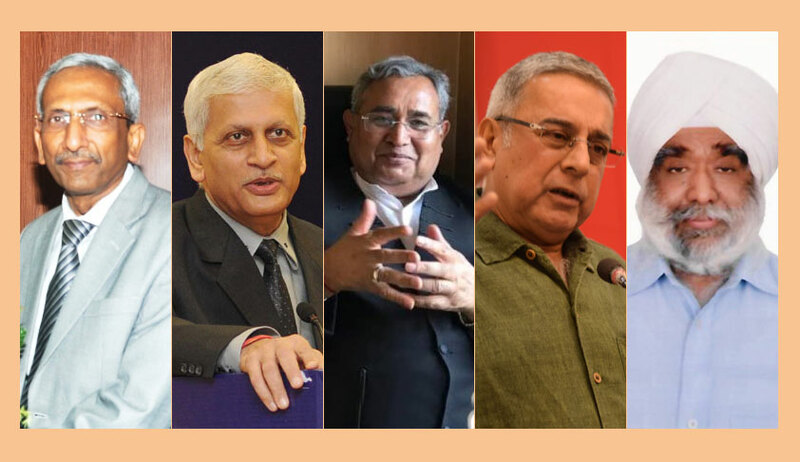 When Justice Goel asked whether refusal by an authority to grant sanction under the Act will constitute neglect or offence under the Act, Maninder Singh responded, “In some cases, it may”. To which, Justice Lalit replied that this will open risks against all sanctioning authorities. Before the bench reserved its judgment, Maninder Singh made his final submission that the bench must consider Article 21 of Scheduled Castes/Scheduled Tribes in mind.